I spent yesterday in various parts of Melbourne, so there was very little done in the Budget Bounty kitchen. Although I did pop into one company to price containers for some food-based products I’m thinking of selling in the future. Maybe. Perhaps. Anyway, leftovers were the order of the day when we got home and we were very happy to have those porcupine meatballs to warm up and serve with a quick mashed potato. This is a picture from the night before, when we dished them up onto a bed of sweet potato that we had cooked in the slow cooker. 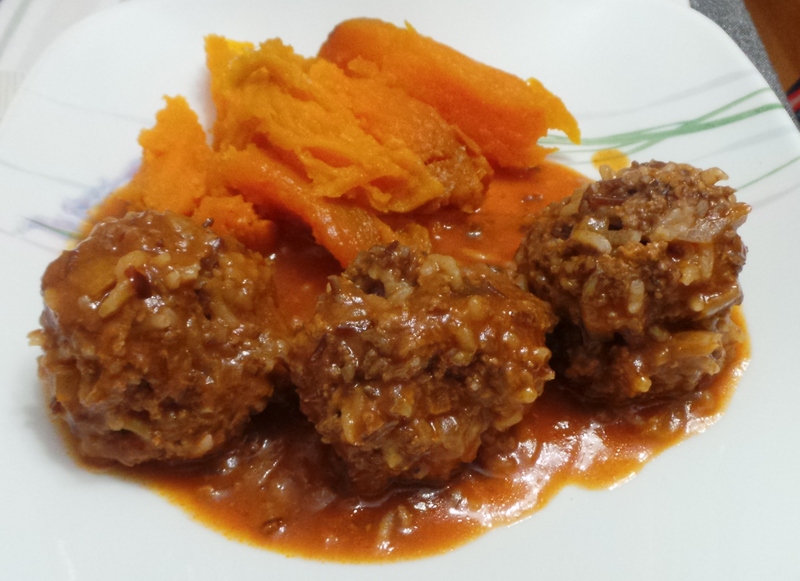 Porcupine meatballs, cooked in the pressure cooker. Both times they were yummy! Today I kept myself a little busier. 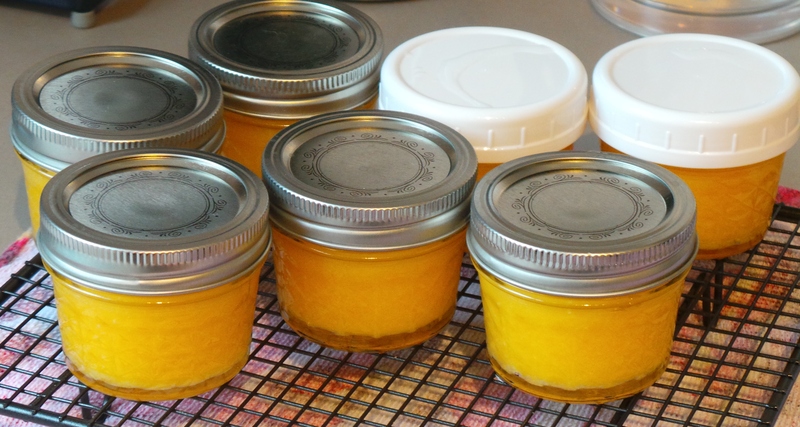 I have been given more lemons, so more lemon butter was made (natch!). I made a double batch, because I wanted to give some away and I wanted to make these. Hidden Treasure Muffins, but made using the lemon butter instead of Dulce de Leche this time. The Boy was keen to take some into the office tomorrow. 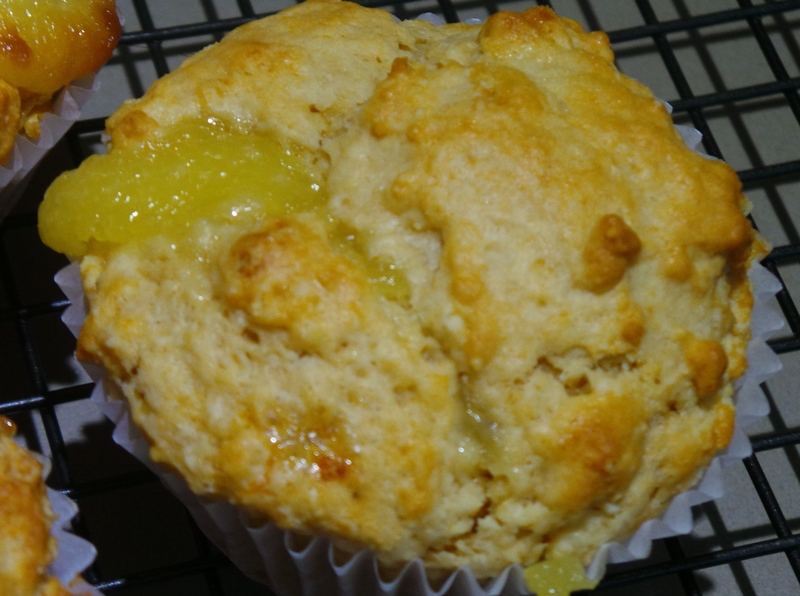 Hidden Treasure muffins with lemon curd. 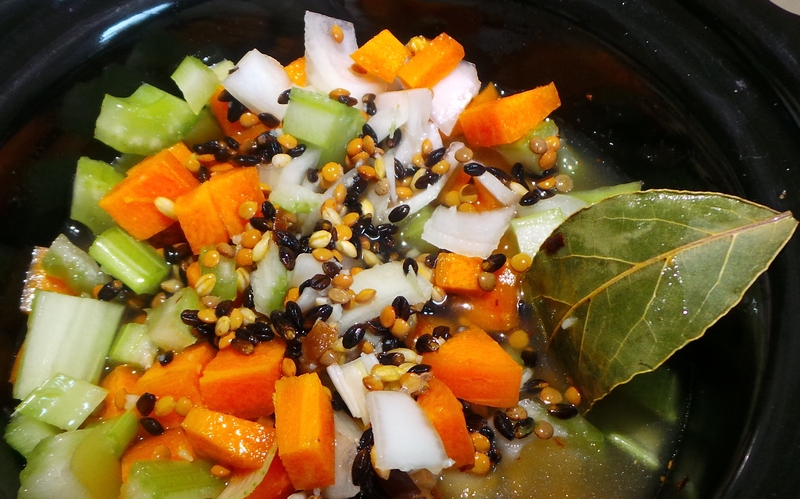 I wanted something low fuss for dinner, so I filled my small crock pot with my Lentil and Barley Hot Pot. That’s smelling luscious and I’m looking forward to tucking in soonish. 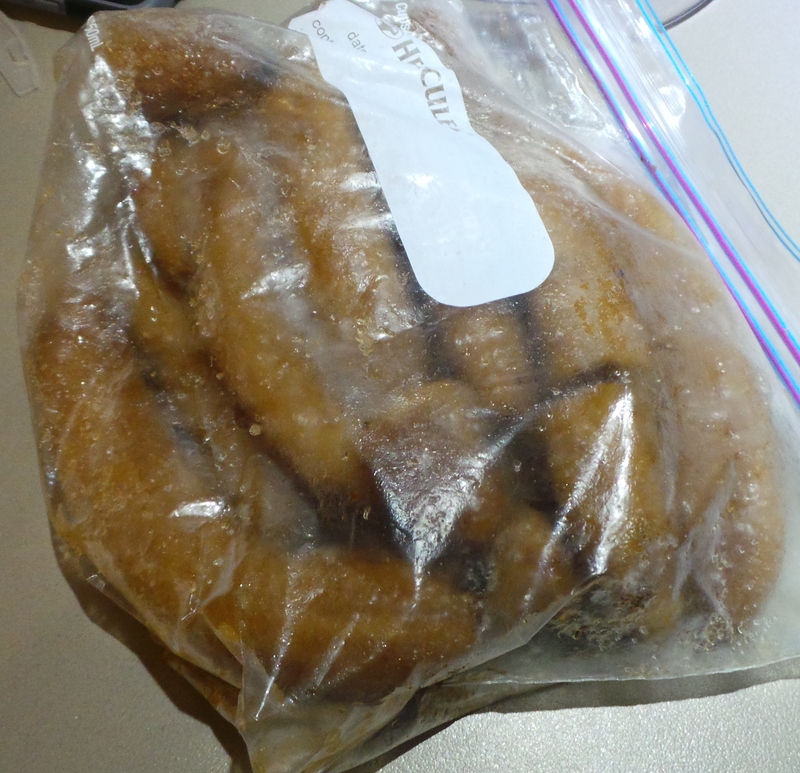 I also decided to do something with a bag of frozen, over-ripe bananas that are taking up space in my freezer and annoying me. And don’t they look attractive? 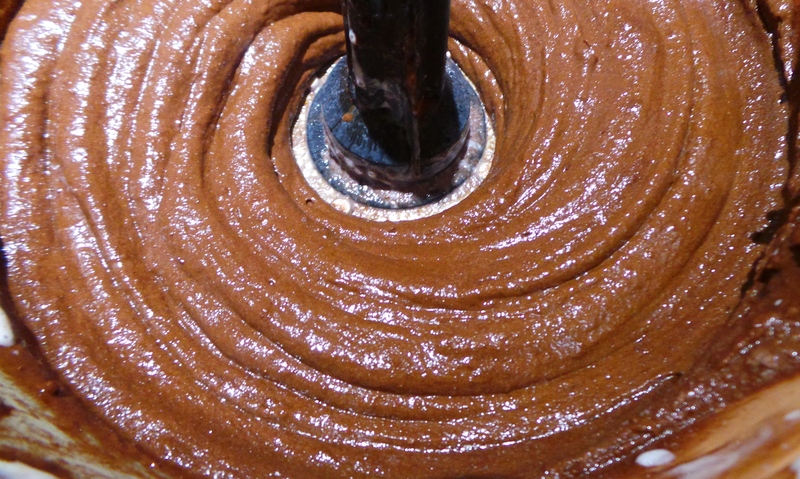 So I turned them into chocolate ice-cream. The Boy came in as I was finishing and decided it was his duty as The Man of The House to lick the bowl. Yes. I will be posting instructions for this very soon. I’m going to have my dinner first though.